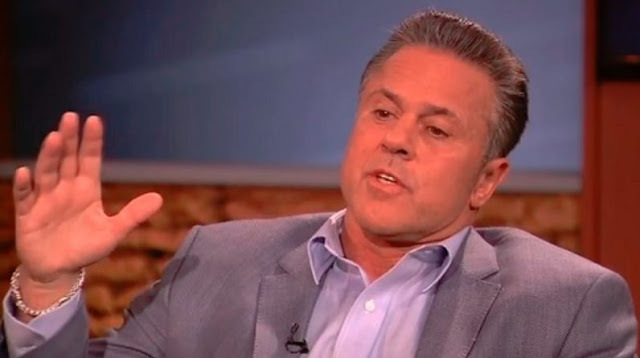 When you start interviewing someone like John Alite, the most common comment you can get for your work as a journalist, like the media, is: Is it a good thing to promote stories of the mafia and of the people who were once part of it?" "The last time I came to Albania was sixteen years ago. The dream of my grandparents has been to never break the ties with the country of origin. And not only me, but they wanted to convey this strong spiritual bond to my children as well. Bringing my kids here has been a dream becoming reality for me." How did Albania came through the stories of your grandparents? I grew up in New York, in a typical Albanian family. The uncle lived in the pantry with the aunt, we lived on the first floor of us and on the second floor, the other uncle and the other aunt. In the house nearby lived our cousins. An Albanian family in Diaspora. In addition, at home there were traces of Albanian culture ... Skanderbeg's busts or Gjirokastra paintings, from where my family came from. Yes, and I went to visit this time. My grandparents were born and raised in that city. I am happy that my son, Methju, was able to see Gjirokastra. Going to my ancestors' home was as exciting as experiencing the birth of my children. I can not explain what I felt. You have been for six months in Albania while you were in trouble. How has Albania changed since then? The way people treat you has not changed. It's phenomenal. This hospitality can not be found anywhere else in the world. Albania is now more modern, with commercial malls, towers, restaurants and beautiful bars. We went South too, the beaches are ... breathtaking. Have you ever thought of moving to Albania permanently and living here? That's what I always thought. Without any doubt! I currently have a business with a friend in Kosovo: we produce and trade water and other liquids I import into the United States. So Albania and Kosovo are an important part of my life. They are very present. I also want to buy a home here, because even if we do not live here all year, I want to go to Albania for at least three or four months. Why did you choose this moment to come and stay so long in Albania? I wanted to come early, but it was impossible, because I was not allowed by American justice to go out of the United States. Also, I wanted to bring my kids here. I've had this desire for a lifetime, but since I've done eighteen years in prison, I've been unable to do it before. Now we were given the opportunity to move all together as a family. We came here to stay just two weeks and ended six weeks. I can not escape from the book as the people are interested. However, as I said, this is rather a personal visit. Even in the memory and reverence of my grandparents who were the ones who insisted for me to make tattoos with the eagle and never forget my origin. I also asked tattoos for my boys, who have the eagle and Skanderbeg. I really can not speak the language ... I fully understand, but I can not speak and I'm sorry about it. But my heart and blood are Albanians, which I am very proud of. 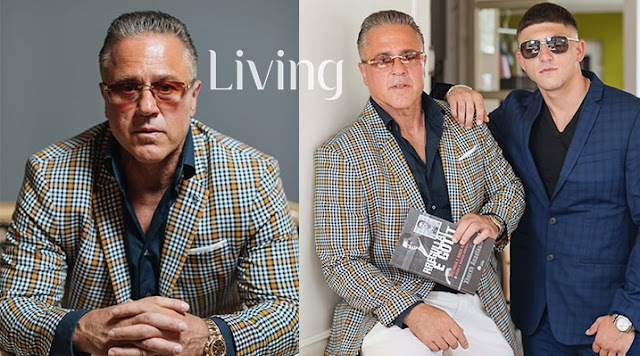 In the first book, "Gotti's Rules" you have shared with the public many things, seemed you told everything. Why was there a need for a second book? It is a trilogy, this is the second book to be followed and another. In this book I talk about my ancestry as an Albanian. They were my eternal teachings, to survive and resist the road. The history of the Albanians has always been as such. At the beginning five centuries under the Ottoman invasion, then the communism. Suffering and challenges. But I grew up in the spirit to never give up, but resist and survive. This is my mentality: to go forward, regardless of everything. I often hear from young people complaining, not just here in Albania, but everywhere in the world; are not happy with politics, economy, etc. My advice is always the same: if you're not happy, do something to change things. Quite enough, enough complaining. You do not like politics? OK. Go to school, educate yourself, become a politician, and then change what you expect of others. This is my mentality. In America, you have been involved in many meetings with young people who have problems with law and crime. Do you think that these meetings will change somehow their lives? It is difficult to understand from these young people when they are mixed with the crime, just as it was difficult to change me once. In one of the prisons where I was serving my sentence, I shouted all the time at the prison manager who was unable to speak to me. He told me an interesting thing: "We have two ears and one mouth, because we have to hear more than to talk." At that very moment, he gained my attention. Things began to change. The difficulty is to get in touch with these young people, to make them listen, to understand. What I have been trying to explain in the first book and want to convey to young people with problems with justice is the hypocrisy in the world of the mafia, where no one has problem with the lying, betraying, and even cooperating with the police. The more you are educated, the more you realize that the strong law of loyalty to the mafia is a deception. These people simply use you and at the first moment sell you. What I want to teach at any cost to young people is this. The other message I want to give them is to never choose the short path, because it is an impasse. Choose the right path that rewards you. Young people do not see my tears and sorrows, they see just the smile. But I know a lot from the world of the road and I do not want these young people to go through those suffering I've been through. Have you ever thought about making such meetings with young people with criminal records even in Albania? We Albanians are strong. Perhaps that is why we often have a bad reputation in the world because we do not give up and never give up. This is a good quality, though often referred to in the world as something bad. The problem with young people is precisely the fact that they are young. They do not know many things I know right now, at this age. I have friends around the world who are gangsters. I do not deny this. They are grown up and I do not try to change their lives, but all these people have a common thing: none of them want their children to follow the same path! To answer your question, I would be very happy to speak to the problematic Albanian youth if someone asked to me, invites me. How is your relationship with the Albanian community in America? I'm very attached. Participate in almost every activity they organize. Mainly with the New York community, but also in other parts of the United States. Above, you said that young people do not see your pain or tears, but just your smile. Tears? Does a former mafia member cries? Do I cry, ask? All the time (laughs). I'm of meat and bone, not of steel. Every man who says he never cried, lies. But for what reason I been crying for? Of course, not for the suffering I've been through in prisons. I never cried out of physical pain. Physical pains, however severe, can be endured. Even those people who think can not afford. They shot me with a knife, with a gun. These are light pains. Emotions are strong pains. I shed tears when I was in jail and could not see my children grow up. I was not on their birthdays. I did not look for Christmas when they were in flu. Or when a relative changed his life and I was not there to look for the last time. I have been crying for my grandmother, she was as a mother for me, and when I was hospitalized, I could not go to see her. For these things, yes, I've been crying. To much. Do you tell this to the youth you meet? Of course. These young people are my main goal now. Give me the adrenaline. Same as I was in a box ring. It's one of the things that motivate me most in life. Surely you have changed the lives of many young people and this is happening to you. But are there young people who, despite your endeavor, do not change and consequently end up badly? When I was 19, I recognized an Afro-American prisoner who was 35 years old and tried to help me. He tried to get me on the right path, talking to me about God. He was sentenced to forty years in prison and would get out old from there. He told me he did not wanted me to end like him. But in that moment of my life, no one could speak to me. I was not ready to change. There are also times when young people are difficult and the work with them is not resultative at the moment, but the war should not be left in the middle.